Yep. Our Christmas tree is dead. Totally dead, dead, dead. It’s droopy and crunchy. Not too great of a picture, but you get the idea of how droopy it really is. None of the branches are sticking out straight…they’re all sagging downward (well, except for a couple at the very top). Anyway . . .
No one likes a droopy, crunchy tree. And every once in a while I’ll hear yet another ornament slip off the droopy branches and land on the tree skirt underneath. It’s kind of funny. You see, I forgot to keep watering it. Usually I do OK at this, but not this year. It’s been kind of a crazy, weird year. But the real reason I forgot to water it after the first 2 weeks was because I didn’t write it down. That’s what I get in return: a dead tree. So, because of that, I’m taking Christmas down earlier than I normally do. It’s still later than a lot of people, but early for me. This weekend will be the time. Goodbye droopy tree. Goodbye beautiful decorations. Goodbye nativities. And remember, because I took pictures of both my normal decor and my holiday decor (go HERE, HERE, and HERE for more details), taking down the holiday stuff and putting up the normal stuff will be a snap! A breeze! A piece of cake! A joy! I know where everything goes and I don’t have to re-think it if I don’t want to. I can, but don’t have to. You can even get the kids involved. Give them the inventory list and let them hunt down the item that goes in the box (unless it’s breakable and your kids are too young to handle the item). But find a way to let them help. Kids love to feel important and useful. So if you haven’t taken your holiday decor down yet, why don’t you join me this weekend? I’ve got a couple more tips to go along with it, too. 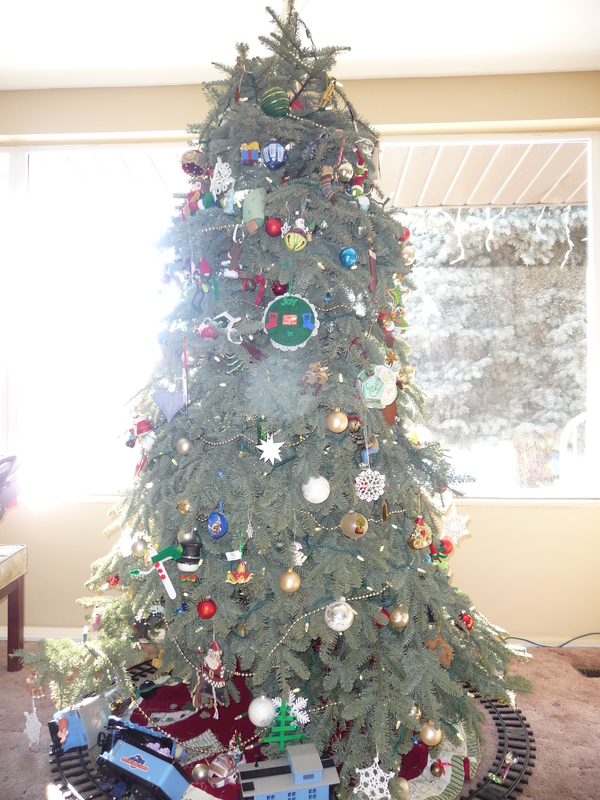 This entry was posted in Holidays, Organizing and tagged Christmas tree, decorations. Bookmark the permalink.